Throughout US history, super cell tornado outbreaks have been deadly. Early warning systems and storm shelters have helped greatly, but people are still killed by tornadoes every year, and the property damage is extensive. Since tornadoes have been recorded and measured by the National Weather Service, one weekend has proven more deadly than the rest – Palm Sunday weekend. 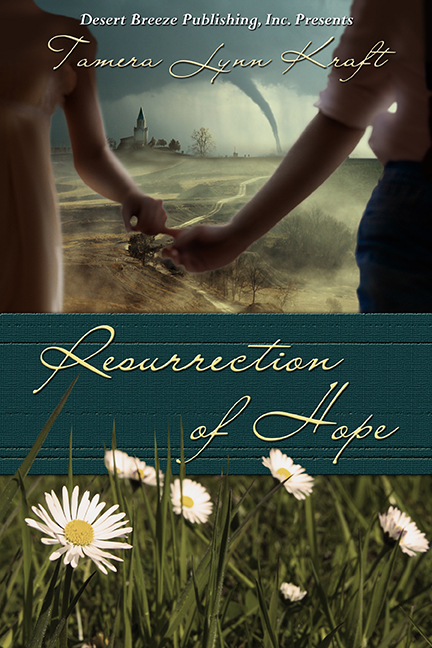 In my novella, Resurrection of Hope, the 1920 tornado outbreak is a part of the story, but there have been others. Here are the super cell tornado outbreaks. At least 37 tornados hit the Midwest and Deep South. 380 were killed, 1,215 injured including over 200 in Georgia, 56 in Indiana, and 55 in Ohio. In the Midwest states of Indiana, Ohio, Michigan, Wisconsin, Illinois, and Iowa, 47 tornados killed 271 people, 60 in Ohio, and injured 1,500, over 1,200 in Indiana. The second largest outbreak in US history happened 3 days before Palm Sunday. 148 confirmed tornados hit with 30 F4/F5s. It struck the states of Illinois, Indiana, Michigan, Ohio, Kentucky, Tennessee, Alabama, Mississippi, Georgia, North Carolina, Virginia, West Virginia, and New York and destroyed the city of Xenia, Ohio. On September 20, 2000, another F4 took the same path through Xenia, destroying the town again. Because warning sirens were in place, this time, it only killed one person. This tornado outbreak killed 40 people and injured 141. 29 tornados struck Texas, Alabama, Georgia, South Carolina, and North Carolina. Goshen United Methodist Church in Piedmont, Alabama was struck during a Palm Sunday service where 21 people died. Her novella, A Christmas Promise, is available on Amazon. Her novella Resurrection of Hope will be released next month. Wow.... Natural disasters are fascinating and terrifying...I enjoy reading about tornadoes and hurricanes especially. Thank you, Jasmine. I agree. Hi Tamera, I was reading your post earlier today just as the Denver news channel popped in a Tornado warning for their area. That was a bit spooky. However, it didn't keep me from enjoying your article. Thanks for your post. Thanks, Linda. I hope it didn't touch down. Thank you for sharing your interesting post. Fascinating and frightening...not many tornadoes or hurricanes here in California. We have those pesky earthquakes. It's probably what you're use to, but the idea of a large earthquake scares me more than a tornado. Thanks, Debbie.